A Weekend Bonus Event has been activated Roserians! 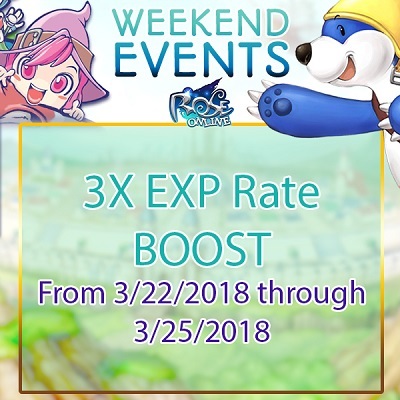 Enjoy 3x EXP boost now through Sunday March 25th! Why not Drop Rate x3?